Presenting our portfolio of Premium IT Products & Services. All 1024kb.co.nz products/services are personally tested & 100% Satisfaction Guaranteed Or Your Money Back. Built by Professionals for Professionals,Hack Attack Bootable Windows USB Toolkit provides a solution to almost any Windows PC problem. From lost photos to forgotten passwords, destroyed partitions to malware infestations, the Hack Attack Bootable Windows Toolkit is your boot-&-fix solution. Lost / Deleted Files? Virus / Malware? Windows wont boot? You’ve got this. The iCloud Account Removal Service is here & it’s real! Remote iCloud account removal – true permanent factory unlock solution for all iCloud-affected iPhones. It’s not cheap but it is effective & your satisfaction is guaranteed. 100% success or your money back. Supporting all iPhones from 6 to XS. Lost/forgotten MacBook UEFI passwords can be a disastrous loss. Not any more. Return your Mac computer – MacBook Air, MacBook Pro, MacBook, iMac, iMac Pro – to full functionality with our simple MacBook UEFI Password Removal process. Guaranteed success removing Admin UEFI / BIOS passwords from the very latest HP product. Envy, Spectre, Omen, Z-Book, Elite, Pro & more all fall in seconds. Almost every late-model Hewlett-Packard laptop including Elitebook, Omen, Spectre, Envy, Z-Book, Folio, Probook & more are vulnerable. 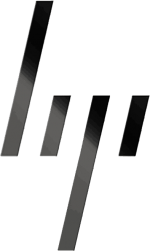 Our guarantee – your HP UEFI will unlock or your money back.